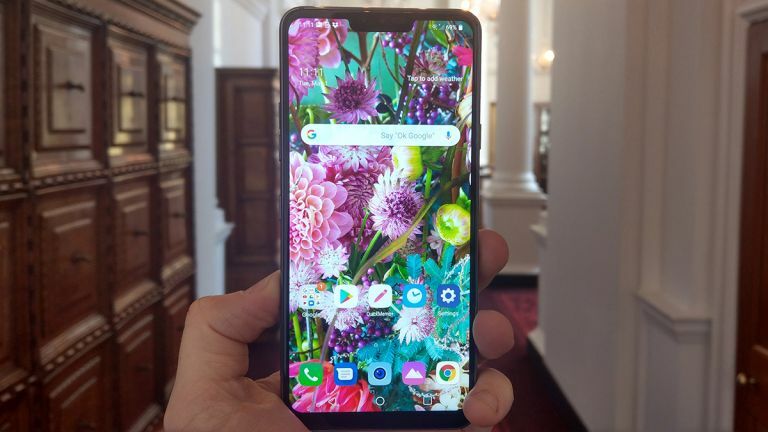 LG may have only recently released the G7 ThinQ but already the LG G8 ThinQ has leaked with a major screen upgrade in the form of an iPhone X and Galaxy S9 beating 4K resolution display. Leakster Ice Universe is back with this latest leak for the LG G8 ThinQ, as it will presumably be called. This handset should feature an eye-watering 4K resolution display, similar to that currently found in the Sony Xperia XZ2, which also has HDR. While the HDR capabilities of the screen were not mentioned, it will presumably also feature since LG is already committed the technology in its TVs which also support Dolby Vision – something that would cost LG money in licensing. Why add that many pixels to a phone screen? The most likely use is for VR and AR where a screen close to the face can pick out pixellation. By increasing to this high-res the user can be more immersed in the experience. This could also represent a move by LG to manufacture more screens for other phone brands which will want that 4K resolution as VR and AR become more prevalent. The source did say that the screen would still be LCD, which is surprising when OLED is both better quality and more battery efficient. LCD is, of course cheaper, so that could be why LG is going this way as Apple and Samsung take the premium OLED route. Don't expect to see much more of the LG G8 ThinQ soon as this phone is a good year off from release, if the company sticks to its usual release pattern.